The little Weiss is much more potent than it looks. It is clever and has a lot of connectivity options. But the question on my mind is: how does the firewire connection compare to good old spdif? Also: how does the Weiss compare to the Apogee Duet firewire interface or the Audiomeca Enkianthus dac? In this review we’ll be comparing SP/Dif to Firewire on both a Macbook running os 10.5 and a PC running windows XP. We’ll shortly compare it to the Apogee Dueat firewire interface. 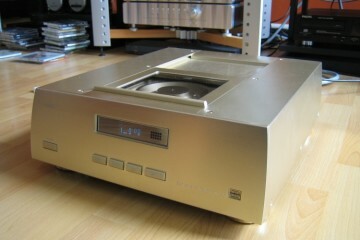 We’ll also compare the Weiss Dac2 in sp/dif modus to the Audiomeca Enkianthus dac. To this end, both dacs were well run in and had been switched on for 2 days before critical listening. Also I used the same powercord in the same position in the extensionblock and also used the same interlinks to the same input on the preamp. Looks can be deceiving… The Weiss Dac2 however stems from very well respected pedigree. 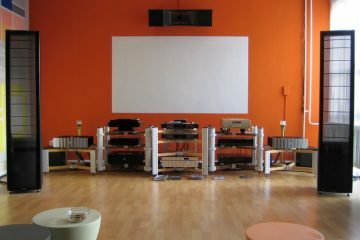 The brand became well known amongst audiophiles with the Medea. 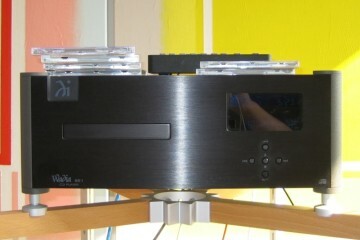 The Medea is a proper highend dac and carries a real highend price. 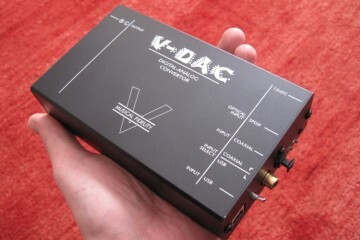 The Dac2 however is priced much friendlier. This is partially so because the Dac2 is the professional version of the consumer model Minerva. Minerva and Dac2 are technically identical but the latter has a prettier face whereas the Dac2 is plain and utilitarian. 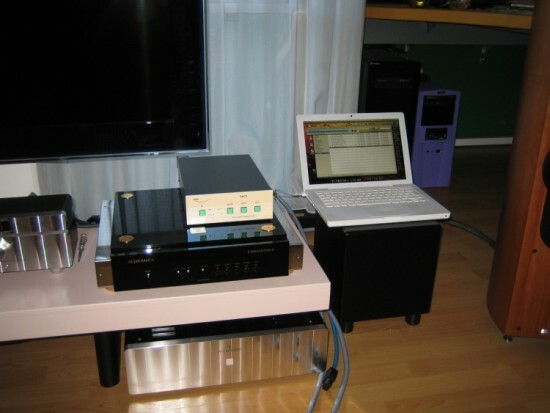 The Dac2 has connectivity for AES/EBU, SP/Dif and Firewire (400/800). Inputs are directly selectable on the front panel. Outputs are both single ended and balanced XLR. It has no upsampling but can handle up to 192khz. It has several jitter reduction techniques and in Firewire mode, combined with supplied drivers for the computer, the Dac2 is claimed to be extremely accurate and virtually immune to jitter. I wanted to see just how the DA section of the Weiss would perform compared to my trusted Audiomeca Enkianthus DAC so I left the firewire- and pc stuff for later and connected the CEC cd transport to the Weiss’ spdif input. 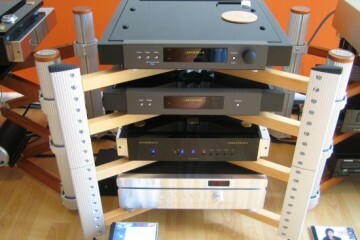 Compared to the Audiomeca the Weiss is very tight, clear and fast. The Audiomeca is absolutely no slouch in these areas so it’s pretty fair to say that the Weiss is quite an anaytical little unit. Not that it is edgy, brittle or otherwise misbehaving. On the contrary: it is very well-behaved. Just very articulate and a bit thin at that. But it didn’t impress me. 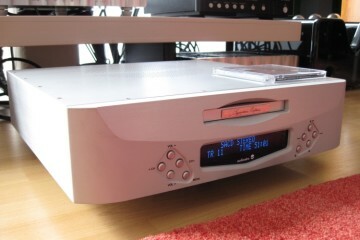 Compared to the Audiomeca it’s not better detailed, but it presents the music in a more business-like manner. It’s very strict. 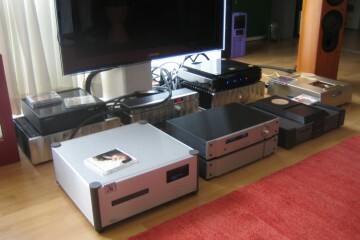 What I miss most is the kind of royal soundstage and generous sound that you get with many other highend dacs. 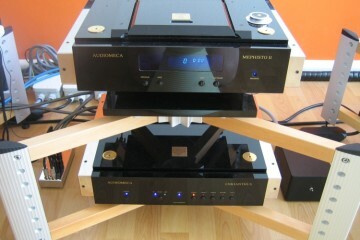 The Audiomeca is both much more deep and a lot wider. It just sounds bigger en more like real music. There’s also more flow there. You could say that the Weiss is more accurate than the Audiomeca, and if that’s what you’re after, then search no more. It really doesn’t get much better in the detail department. Only the dcs combo can beat it on that aspect. Don’t get me wrong: it is a fine dac, just not my taste. In other setups it could be just the ticket with its supremely detailed sound. But so far we’re only just scratching the surface here. There’s also firewire. Read on! This was the most extensive part of the review. I wanted to make sure that I got the best out of the Weiss so I tried both a Macbook and a PC. The PC also has an internal EMU1212M soundcard from which I normally use the spdif output into the Audiomeca dac. The audio is routed directly to the EMU so doesn’t get routed through the windows Kmixer. This spdif oputput was used to compare to the firewire connection. Both were connected at the same time so switching was realtively easy and could almost be done on the fly. To top off the test I and even tried 2 different firewire cables to be absolutely sure. First I tried the Macbook with firewire, running 96khz files in Amadeus pro, a very good wav editing program. What was immediately clear, was that the dac exhibited the same kind of control and tight strictness as it did when used with the CEC cd transport. But on top of this, the sound was extra thin, small and boxy. To check this, I quickly switched to the PC using my regular spdif connection. There was the colour, the fullness and royal soundstage. Okay, something wasn’t right here. I played around with the Macbook some more and found that the audio midi settings reverted to 44khz every time the input was switched. You had to manually set the macbook to 96khz everytime you switch inputs or disconnect the firewire connection. I had been listening to 96khz files in 44khz resolution. No wonder that it sounded constrained. So, back to the Macbook, making extra sure to check the settings each time I started playing a track. I also checked all other possible variables and even read the manual:-) Now that the hardware was running in native resolution it sounded much better, but still a lot worse than when used with the CD transport. In addition to Amadeus I also tried iTunes but to no avail. Now I didn’t trust the Macbook anymore. Also see sidenote 1. Because I already know what the Apogee sounds like, and by now I have a pretty good idea how the Weiss sounds, I’ll just touch on this briefly because the two interfaces couldn’t be more apart. The Duet only has single ended unbalanced outputs, but I replaced the original thin supplied cable with a more musical Prefer cable. Still no match for the Transparent that was connected to the Weiss but this only gives the Weiss precedence so it couldn’t harm the results. 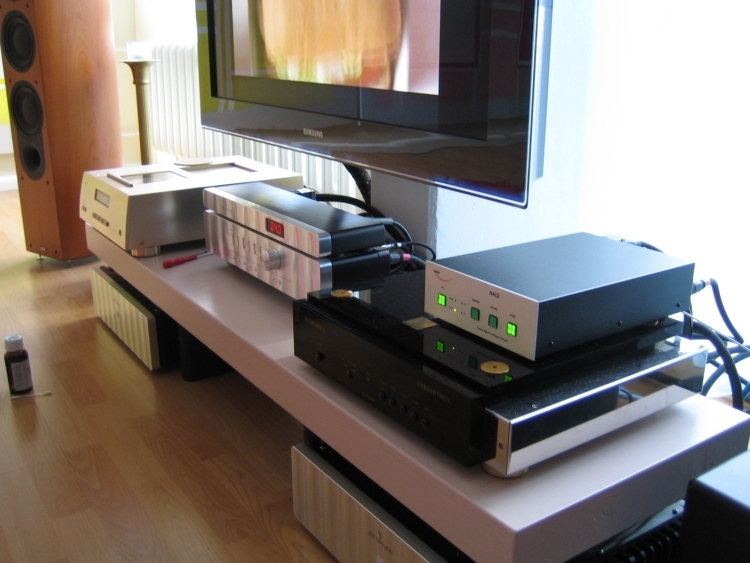 In short: the Apogee is no highend dac. It sounds very full, rounded, relaxed and fluid whereas the Weiss has much better detailing, focus and rhytmic ability. The Apogee simply is no competition. But it does show the Weiss a thing or two about generosity and musicality. I hooked up the PC via both firewire and spdif (running from the EMU1212M soundcard) so that I could switch between the both just by choosing the input on the Weiss’ front and changing the driver settings in the playback application. The difference was obvious: in firewire mode the Weiss sounded much better than with the Macbook. Whether it was the macbook hardware, or the fact that it was OS X running on it, I cannot tell, but I disapproved of the mac as a source from now on. The sound from the PC with firewire (having installed the most recent Weiss drivers from the internet) was excellent. Now it resembled real music. Gone was the restraint and the narrow imaging. The sound was now wide and big. Just not as deep as the Audiomeca. But it also grew balls. The bass was now much better than it was via the Macbook. It had grunt and excellent texture and picth. It was also very lively. The midband was very neutral and uncoloured and the highs were fluid and didn’t attract attention in any way. Meanwhile the detailing was still top-notch. This was fine sound. But still I found it very slightly business-like. But without comparing, I could live with this presentation. Also see sidenote 2. 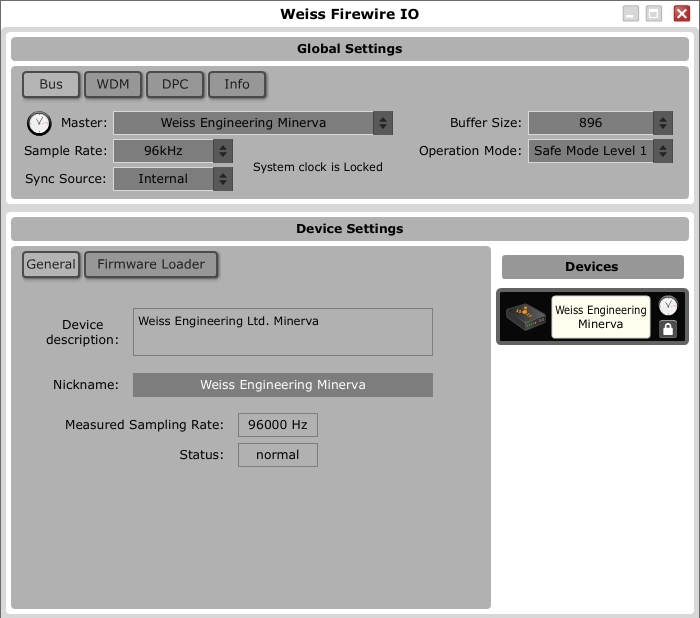 By switching to the spdif input from the frontpanel and changing the settings in the Steinberg Wavelab application I could easily compare firewire to spdif within 10 seconds. Now things got even better: going spdif to the Weiss, there was more color, more fullness in the bass (though it was slightly less tight) but most of all the soundstage got even bigger and deeper. There was more ripeness and everything seemed to breathe more. The sound was now almost as generous as I remember it from my usual setup using the Audiomeca dac. Now we were getting somewhere. In fact, the sound was very good. It was that I remembered my own sound as even better. So, to check this, I went back to spdif into the Audiomeca. This was not an easy call. Now I felt torn between to presentations that were both very good. 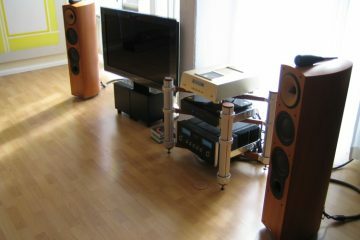 The Weiss with spdif sounded excellent, but the Audiomeca with spdif was even more ripe, real and emotional. The soundstage was also most deep. Music breathed more and sounded less like pc music. But the Weiss was more agile, quicker on its feet and rhythmically very tight and fast. But also still a little cooler, more business-like. Not content with firewire sounding less musical than spdif, I tried a second firewire cable. Instead of the thin Apogee I now used a thick no name brand cable. And what do you know: indeed there is a difference. The thicker cable sounds, well, thicker. It has more solid bass and the stage is also wider, as if the thin Apogee cable made for a thin sound. I know it sounds absurd, but I doublechecked it and it’s really true. Bit these differences weren’t major and certainly not a deciding factor. Spdif was still fuller and more generous than firewire, even with the thick cable. I also booted into Windows using bootcamp on the Macbook. 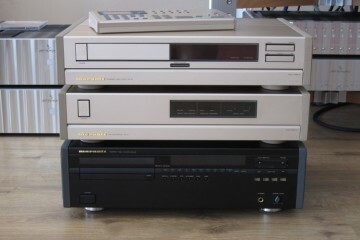 Even then the sound was much thinner, and the soundstage narrower than using the big PC. All in all the Macbook just sounds artificial. Whether this is a notebook-thing or something specific to the Macbook, I don’t know. But I suspect that it’s the undersized powersupply to begin with, combined with the power-saving software features in addition to less power consuming parts inside the Macbook that are all together responsible for this. The Macbook not only sounded below standard, it also gave me no end in configuration-misery. Unlike the PC, that automatically configured the Weiss interface and hardware into the correct samplerate, this had to be switched manually on the Macbook. on top of that, each time the firewire cable was unplugged or the input was changed it reverted to 44khz. The Weiss comes with drivers and instructions. In addition the most recent drivers were downloaded from the Weiss site. In compatible programs you get either WDM, Asio or both drivers. You can just directly select the Weiss this way, bypassing the dreaded Windows kmixer. Strangely WDM doesn’t automatically configure the Weiss software to the correct samplerate. You have to switch to Asio and back to WDM in order to get the Weiss to the correct sample rate. Surprisingly, even then, WDM sounds slightly more compressed dynamically, the bass more loose than via ASIO. On the Weiss control panel (seen left on the large screegrab) you can also choose 5 safe mode stages of tolerance to system instability. The first mode is recommended as most accurate. This was easily confirmed, as the consecutive steps were more and more restrained and softer in sound. I used safe mode 1 throughout. Are you searching for a super-accurate and finely detailed dac for your PC? You’ve found it in the Weiss Dac2. 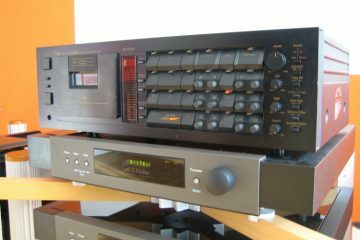 However, if you’re you searching for a full, musical sound, that can potentially replace your highend cd player as a source of listening pleasure, the Weiss may not convince you entirely. For what it offers detailwise, its asking price is very reasonable, but when compared to cd players that cost the same, in my view, musically you can do better. Especially the midrange could be more full sounding and the soundstage could be a lot wider and deeper. But, and this is a big but: if you, like me, want it all combined, then you will need a much higher budget. Either when trying to find a dac or a cd player that betters the overall musical presentation of the Weiss while maintaining its excellent detail retrieval, you’ll easily spend 3 times more. So, for me, as a spoiled audiophile with a taste for the sumptuous, analog-like fullness in sound combined with a huge soundstage, the Weiss hasn’t succeeded in seducing me. But it could well be one of the best firewire dacs currently available at the price. All in all: the Weiss comes recommended. As long as you’re not expecting tubey analog sound from it. It is forever neutral. Also, keep in mind the troubles I had configuring the Macbook, though you may have better luck, but I read in forums that more people are annoyed by this “feature” from the Mac OS. Maybe Weiss can issue a driver that forces Mac hardware in the correct samplerate? Until recently I wasn’t very convinced by devices that used USB or firewire and found them to sound a little technical but the first USB interface that I heard that sounds really very good, and provides an s/pdif output even better than my EMU1212M’s, is the M2Tech HiFace EVO. Another device that amazed me recently (december 2010) was the Ayre QB-9 USB DAC. This device uses asynchronous USB transfer and uses its own very stable clock as a master, not relying on the clock in the computer. The Ayre even outclasses my HiFace EVO+Levinson no.360S dac combination inmatters airyness, smoothness and complete lack of electronic signature.